If you are experiencing tooth pain that won’t go away, it is important that you contact one of our dentists right away. When a tooth hurts constantly, particularly if the tooth pain is unbearable, it could be a sign of a serious dental problem. 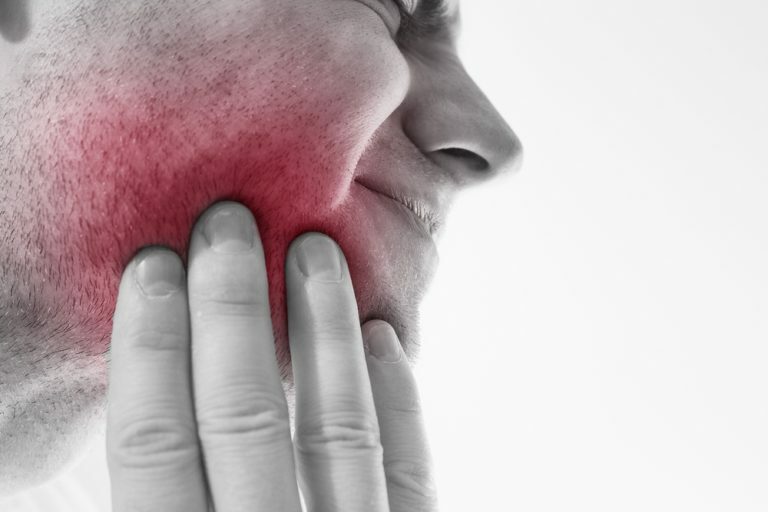 In many cases, this type of pain indicates a tooth has abscessed, which can cause the surrounding bone and gum tissue to become infected as well. If left untreated, you may also experience swelling, and a draining fistula may develop along the gum line. Taking some over-the-counter medications can help with the pain until you can see your dentist. If your tooth won’t stop hurting, but it is more of a dull ache or pressure, you may suffer from a condition known as bruxism. In many cases, this type of pain will be worse in the morning, or after sleeping. Bruxism is a medical term for tooth grinding, which puts unusual pressure on the teeth and jaw, causing them to ache. This is a serious condition, as over time the teeth can become worn down in an unusual manner, and you may begin to experience problems in your jaw joint as well. Sinus pressure may also cause pain in the in the face and teeth. However, even if you suspect that it is a sinus infection causing your pain, it is still important to make an appointment with one of our professional dentists. They will carefully evaluate your dental health to ensure the infection is not occurring in your teeth. Again, taking an over-the-counter pain reliever may help with the discomfort until you can make an appointment to see a dentist. In either case, it is important that you contact one of our dentists right away if you are experiencing any pain in your teeth, gums, or jaw. The sooner you receive treatment, the sooner you can begin to enjoy a pain-free and healthy smile once again.